Where to get a drink—and a view—in the Windy City. In the city that invented the skyscraper, could anything feel as resplendent as lounging at the top of one for a cocktail with a view? Many rooftop bars spread throughout Chicago serve up birds' eye views of some of the city's most spectacular sites—like Lake Michigan, Lincoln Park Zoo, and other iconic skyscrapers—alongside top-level cocktails and elevated bar snacks. Since many offer indoor space retractable roofs, you can enjoy them year-round, even when the wind is whipping pedestrians on the sidewalks of Michigan Avenue. Here are our picks for the best rooftop bars in Chicago, so you can take in the spectacular cityscape no matter when you visit. 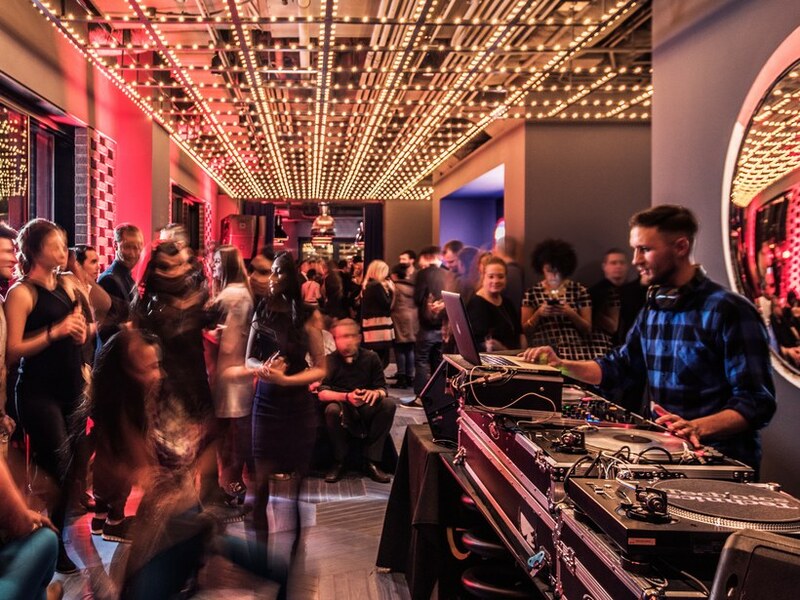 Take in the spectacular skyscrapers with the rumbling thunder of the El train in the distance at the rooftop bar in Virgin Hotels Chicago. It's your chance to see a piece of Sir Richard Branson's creative genius first-hand. Or to hang around hip but laid-back people in a cozy space with some of the greatest, grittiest views of the Loop. 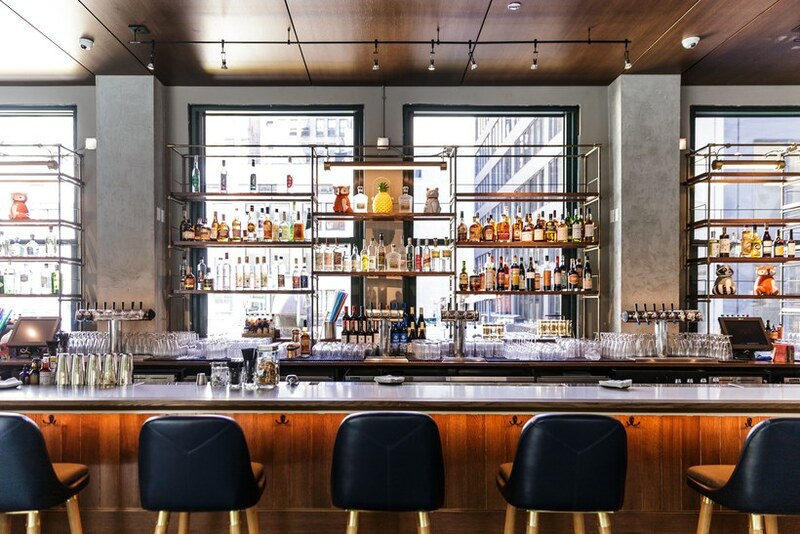 LH is a proper New American restaurant that supports local farmers and purveyors, but you're really coming for drinks accompanied by one of Chicago's best views overlooking iconic buildings lining the Chicago River, like Tribune Tower and Marina City. The outdoor space offers a relaxed country club feeling, but the beautifully made, fun cocktails are the real standouts. They're made with top-shelf spirits and exotic ingredients—burnt Manhattan marshmallow, lemongrass and pear ice, edible butterfly—and served in creative vessels. A top cocktail destination for the city, Drumbar is known for its seasonally changing drinks list and a highlighted section of various Old Fashioneds. It has a spacious, seasonal outdoor terrace with wooden banquettes and warming fire pits. It's not often you can feel immediately transported, but walking into Boleo, with its retractable roof and collection of exotic palms, makes it seem you've stepped off a plane in Buenos Aires. It has a lively, upbeat atmosphere—so go ready for the party vibe. Cabana Club—with its triangle-shaped dipping pool and wide-angle views across the city—is great for groups and lazy-day hangouts. There's a party atmosphere with great music, fantastic views, and good-enough drinks. It's fine to go when the weather isn't great, but most fun when the sun shines. A constant bustle of locals, tourists, and suburbanites pervades Cindy's terrace, which has some of Chicago's most spectacular views over Millennium Park, the Art Institute, and Lake Michigan. No matter if you want to come with family for a nice lunch or bring a date for late-night cocktails on the terrace, Cindy's is an all-purpose spot for locals and visitors. You're coming to the 13th floor for cocktails, but staying for the view at this Mad Men-like cocktail lounge. Here, you get irreverently named drinks, a great eastern view of the skyline, and a look at lesser-touristed parts of the city you don't usually get to see from this high up. Depending on the night, the vibe can range from clubby to mellow. While the English-style pub is dark, cozy, and perfect for a frigid late fall or winter Chicago day, it’s the open-air rooftop where you want to snag a table in warmer months. 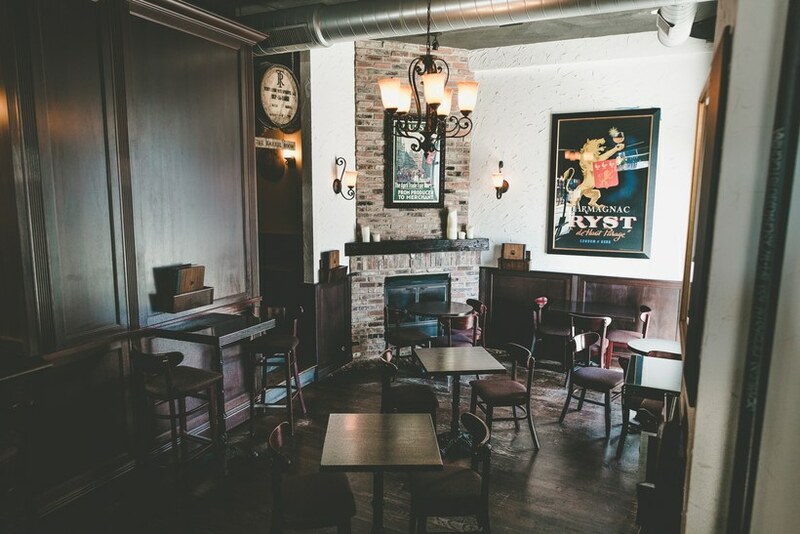 It's a great bar for a few rounds of drinks and a simple, laid-back evening with friends. If this were on the ground floor, it'd be a bar with really good drinks. That it has one of the best rooftop views anywhere in Chicago is what sets the J. Parker apart, especially in summer, when the retractable roof is off. You can see Lincoln Park Zoo, Lake Michigan, and the Gold Coast from here. With a wood grill, draft beers, a flower and herb garden, and wooden picnic tables, Gene's feels like a German-style backyard barbecue. Come for grilled sausages and glasses of cold pilsner. 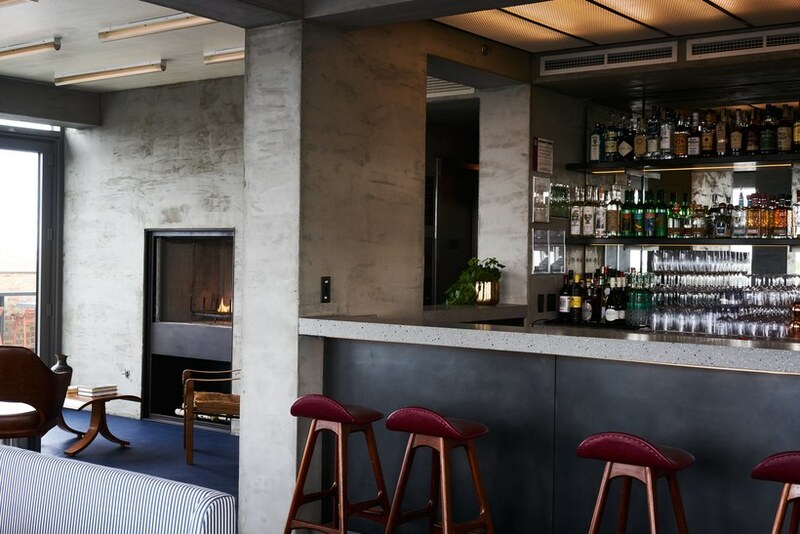 The Waydown, on the seventh floor of the Ace Hotel, is Scandinavian chic. There are two outdoor spaces, fantastic drinks, and nightly live music, not to mention rooftop views. You'll see a mix of hotel guests and locals. While many bars in River North attract a bit of a raucous crowd, patrons at Celeste are a bit more refined. Calm and idyllic, the decor reminds you of a proper English garden, where you can hang with co-workers for happy hour, catch up with an old friend, or have a date night.